What Do You Do With a Classics Major? Ask Stephanie! Stephanie Horbaczewski graduated from Trinity College in 2000 with a BA in Classical Civilization. A few years later she founded StyleHaul and got into social storytelling. Last year a European company bought StyleHaul for more than $100 million. 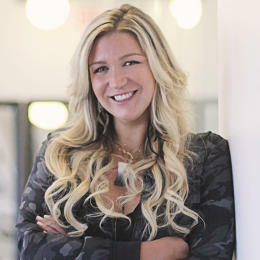 Read all about Stephanie’s career and her advice on social storytelling in a recent issue of Fast Company. Where will your Classics degree take you? This entry was posted in Uncategorized on November 25, 2015 by Gary Reger. Everyone knows ancient Pompeii was buried in the great eruption of Mount Vesuvius in 79 CE. Less familiar to many is its neighbor Herculaneum, buried at the same time. (The archaeological site of Herculaneum, not far from Pompeii, is less visited and, for some, more interesting and intimate.) One of the buildings archaeologists have uncovered was called the Villa dei Papiri because it contained hundreds of scrolls constituting an ancient library, including lost works by Epicurus and other philosophers. The latest issue of The New Yorker contains a fascinating article on new efforts to read these scrolls: The Invisible Library. This entry was posted in Uncategorized on November 12, 2015 by Gary Reger.